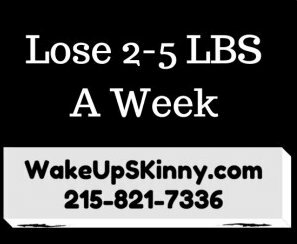 Hi everyone if you are one of our weight loss patients in our Philadelphia Medical Weight Loss Center or our Bucks County Medical Weight Loss Center you know that I have lost over 80 pounds on our program and I have kept it off. Keeping the weight off for all of this time has taken some dedication to planning and/or preparing my meals ahead of time. Personally, I like to have 2 – 3 meals a day that taste good and are also loaded with good healthy nutrition. So these meals satisfy my tastebuds and eliminate my hunger because I’m giving my body exactly what it needs In the form of good healthy nutrition and nourishment in the form of delicious food. If you are new to our weight loss program I invite you to call us and schedule your free medical weight loss consultation, call us now at 215-821-7336 and schedule your free consultation. In our weight-loss program we provide you with high-quality FDA approved appetite suppressant medications – weight loss pills, vitamin B12 injection therapy and we also instruct you in a sensible eating plan that will have you eating real delicious foods that will assist you in losing weight. If you are able to I will also review an exercise program with you. In this post I am going to give you the recipes for meals that I’m having for breakfast lunch and dinner today. So here are the three great recipes that will tantalize your taste buds and satisfy your hunger and cravings. Start by taking three large eggs cracking them open and beating them with some salt-and-pepper. Next, take a pan add the butter to it and set it overtop a medium heat. When the butter has melted add eggs to the pan and stir this for at least 2 minutes. I like my eggs thoroughly cooked. You can even add some type of protein like chicken, beef or fish. Often times I add bacon , avocados and some cheese. If you are super hungry you can add more butter to the recipe. Chop your vegetable then add your greens to the bowl and then add the other vegetables. I like to add broccoli, red and green cabbage for a nice crunch to my salads. Shred or chop vegetables of your choice. First, put dark leafy greens such as spinach or arugula at the bottom of the jar. Iceberg lettuce or romaine works too. Green and red cabbage gives a fresh crunch. Chopped broccoli or cauliflower also works great. You can also add avocado, bell peppers – red- green and yellow, carrots and any other vegetables that you like. Then top this with your protein – beef, chicken or fish. I also like to add cheese, olives, and a small amount of nuts and seeds. For the dressing I like olive oil, vinegar and herbs and spices, but sometimes I may have some mayo or lemon as a dressing. First preheat your oven to 350°F (175°C). Take your garlic and bell peppers and chop them up nicely. Then place them in a pan with olive oil and saute. When they are soft set them on the side in a bowl. Then stir in the cheeses, spices and japenos. Slice your chicken down the middle and spread it apart like you open the newspaper. Take a large spoonful of the mixture and place it into the middle of the chicken. Add the salt and peer to taste and any other spices you like. Fold the chicken breast and secure it with the toothpick. Do this with all of the chicken breasts then fry them a bit. Then put them in a baking pan and bake them until they are totally cooked. You can add the remaining batter overtop of the chicken breasts before baking them. When they are cooked you can add some good health fats like guacamole or sour cream. And please add lots of vegetables. To make the guacamole all you have to do is mash the meat of the avocado, (just like mashed potatoes – but without all of the carbs), and mix in some diced tomatoes, lime juice and olive oil. You can also add other herbs and spices to give it more flavor. Make sure you remove the toothpicks before serving this delicious dish. I hope you enjoy these recipes! If you, a friend or love one call us and schedule your free weight loss consultation. Call us at 215-821-7336. This entry was posted in Diet Doctors in Bucks County, Diet Doctors in Philadelphia, Medical Weight Loss, Medical Weight Loss in Philadelphia PA, Medical Weight Loss Philadelphia and tagged medical weight loss philadlephia, philadelphia weight loss doctors, philadlephiadietdoctors on January 20, 2017 by Dr. Michael Kenny.